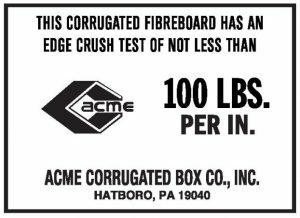 - Acme Corrugated Box Co., Inc. HEAVY-DUTY PERFORMANCE FOR HEAVY-DUTY NEEDS! This unique corrugated product provides the strength you expect from triple wall, but in a double wall combination. POWERWALL 100® is a burst resistant, bulge resistant, fully recyclable multipurpose solution for a variety of heavy duty packaging challenges. Bulk boxes, bins, and Gaylords are expected to contain significant weight and/or volume. POWERWALL 100 has been used successfully alone or in combination with other materials to create durable, functional, pallet-sized boxes. Numerous configurations are possible for optimizing performance. Although there are many heavy duty corrugated products available, there are times when conventional choices simply are not enough. POWERWALL 100 has been used for medium to large cartons that outperform other heavy duty options. Boxes glued at the joint can be stitched instead to meet extra heavy-duty needs. Features such as hand holes and vent holes can be added as needed. POWERWALL 100 can be produced in sheet form, with or without scores, to be used where standard corrugated material is not tough enough. In fact, POWERWALL 100 has even been used in place of light plywood sheets and for items such as pallet pads, protective dividers, and more. POWERWALL 100 sheet product can also be combined with wood materials to build crates. In addition to its overall toughness, POWERWALL 100 can be die cut. This product is ideal for fitted inserts that isolate movement and protect contents packaged in the box. Boxes can also be die cut for hand holes, vent holes, and similar features. Engineered for maximum compression and crush strength POWERWALL 100 provides outstanding stacking and load force resistance. 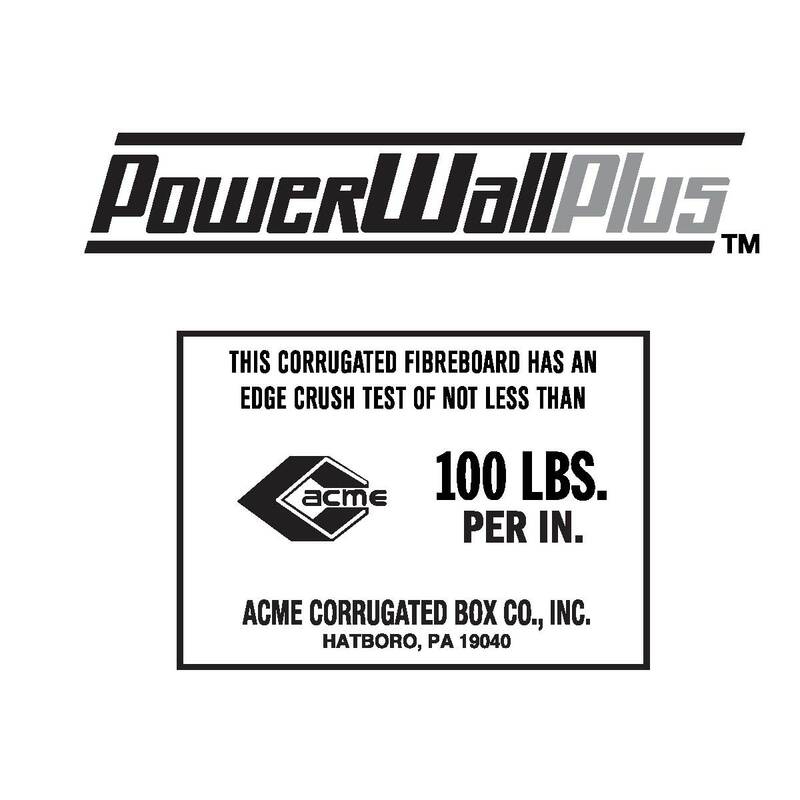 Fully recyclable, all Acme POWERWALL products are your environmentally responsible choice for heavy duty packaging.